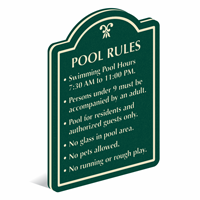 Make sure your signs are pretty-looking as well as durable. 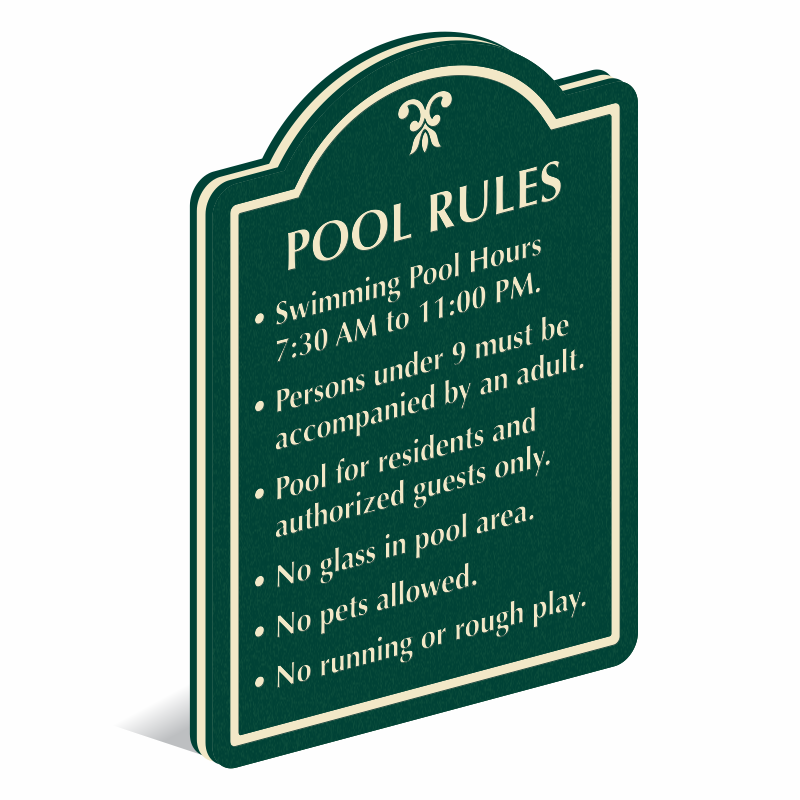 This 24 inch x 18 inch PermaCarve Sign with arched top helps you convey your personalized pool rules. Customization takes no time. Just choose a color scheme, add text and adjust font. You're done!